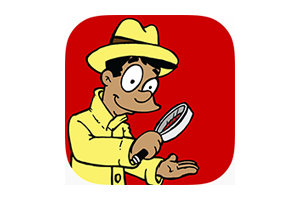 The You Are A Social Detective Beginner App allows the child to choose their own avatar and earn their social detective tools as they learn how to improve their social skills. Educators and parents can track and share progress by emailing graphs and percentages of outcomes after playing. This fun and engaging app is a great learning tool and autism resource for teaching social skills to all children! Developed for teachers, therapists, counselors and parents Social Skill Builder’s apps use real life scenarios and video modeling to teach social skills to children with Autism, Asperger’s and other special needs. Visit socialskillbuilder.com for more information about our unique, award winning programs! For more information about Social Thinking, visit socialthinking.com. * Fixed the video pause feature in the Magnifying Glass section (where the video pauses, the player is asked a question and then clicks “to see what happens next” ).